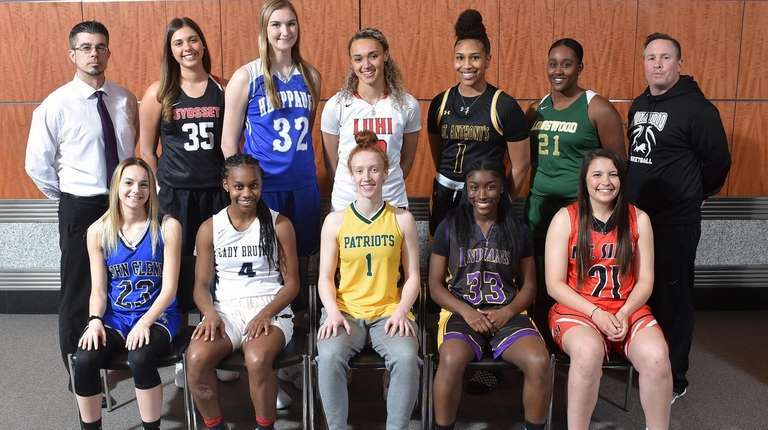 Celeste Taylor of Long Island Lutheran is Newsday's Girls Basketball Player of the Year and Ward Melville's Lauren Hansen is the Suffolk Player of the Year. Celeste Taylor, Long Island Lutheran, G, Sr.
Celeste Taylor’s most memorable experience as a participant in the McDonald’s All-American Game in Atlanta at the end of March came off the court. Newsday’s All-Long Island Player of the Year for the second consecutive season started in the game and competed in the three-point contest, but Taylor said she had an unforgettable visit with children at Ronald McDonald House. “It was the experience of a lifetime, something I can’t really describe,” she said. “Going to the Ronald McDonald House and meeting one of the kids who I had a little moment with was pretty cool. 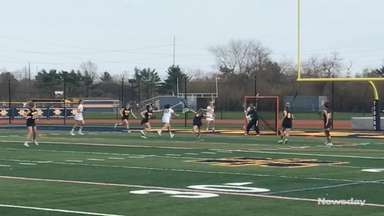 Taylor began her varsity career at Valley Stream South, where she started as a seventh grader. 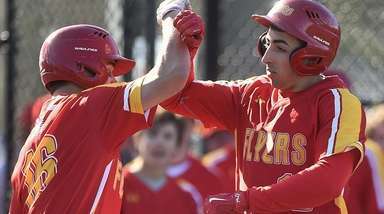 She transferred to Long Island Lutheran, where she played for coach Rich Slater in eighth grade and “only played about 30 seconds a game,” she said. Taylor started as a freshman, moved up recruiting boards as a sophomore and verbally committed to Texas in her junior year. Taylor, an athletic wing and relentless perimeter defender, averaged 18.3 points, 6.6 rebounds, 4.0 steals and 3.1 assists this season. Lauren Hansen, Ward Melville, G, Sr.
An NCAA tournament run by the Auburn men’s basketball team has Lauren Hansen excited for the opportunity ahead as a guard for Auburn’s women’s team. The Auburn men lost in the Final Four to eventual champ Virginia. The Auburn women lost to Brigham Young in the first round of the NCAA Tournament, and Hansen thinks her skills will at least give her the opportunity to contribute next season. “I’m excited for it because I think it’s going to be what I’ve waited for my whole life,” said Hansen, who averaged 27.8 points and made a Long Island-best 79 three-pointers. Hansen, who missed her entire sophomore season after ankle surgery then dealt with concussion issues and a broken hand, said she's happy to step foot on campus in mid-June and experience what's it like to play in a "free offense" — one that allows for creative athletes like herself to make plays. Few players on Long Island can create off the dribble like Hansen, and it's that skillset that makes her a fit in Auburn. “It’s exciting to be a new face in a new place,” she said. Alyssa Adomaites, Glenn, G, Sr. 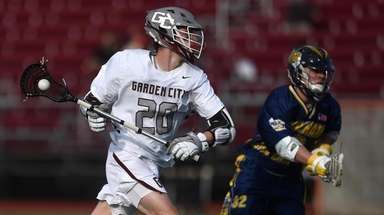 The Adelphi commit was second on Long Island with an average of 26 points per game for Glenn, which largely exceeded expectations this year. Carly Bolivar, Sewanhaka, G, Sr.
An expert slasher and one of the best lockdown perimeter defenders on the Island. The NYIT commit averaged 16.5 points. Kaia Harrison, Baldwin, G, Sr. The Wake Forrest commit . won her sixth straight Nassau Class AA county championship..
Nyia Longford, Longwood, G/F, Sr.
She helped deliver the program’s first Long Island championship with a 12-point, 20-rebound performance against Baldwin. She’ll play at SUNY Cortland. Rachel Mahler, Syosset, F/C, Sr.
A stretch-big headed to Washington-St. Louis who has great touch from outside but also bodies opponents in the paint and blocks shots. Lauren Romito, Hauppauge, F/C, Sr.
She averaged 12.5 points, 11.1 rebounds and 8.7 blocks and will play at SUNY Geneseo. Gabby Sartori, Mount Sinai, G, Sr.
One of the more well-rounded offensive players in the county who averaged 21.7 points for the Suffolk Class A champions. Sydney Taylor, St. Anthony’s, G, Sr.
A sharpshooter who averaged 19.7 points is headed to the University of Massachusetts. 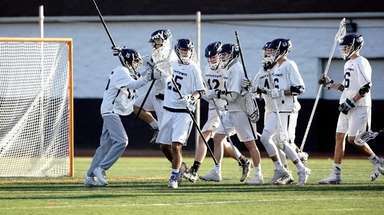 The Indians overcame a 3-4 start to win the Long Island Class A championship for the first time. They beat undefeated No. 1 seed Island Trees in the county semifinals. 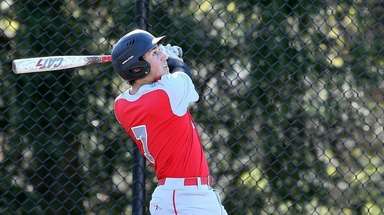 He led the Lions to an undefeated record in Suffolk League I and the team’s first Long Island championship. Jamie Behar, Oceanside, G, Jr.
Janelle Brown, Longwood, G, Jr.
Raiana Brown, North Babylon, PF, Sr.
Brooke Cergol, Mount Sinai, G, Sr.
Paris Clark, Long Island Lutheran, G, Fr. Brianna Fitzgerald, Island Trees, G, Jr.
Danielle Hippner, East Meadow, F/C, Jr.
Trinity Hudson, Glen Cove, G, Sr.
Flo Hunte, Sewanhaka, G, Sr.
Tamia Lawhorne, Long Island Lutheran, G/F, Sr.
Cara McCormack, St. John the Baptist, G, Jr.
Hannah Stockman, Northport, G, Sr.